"We had a great stay." 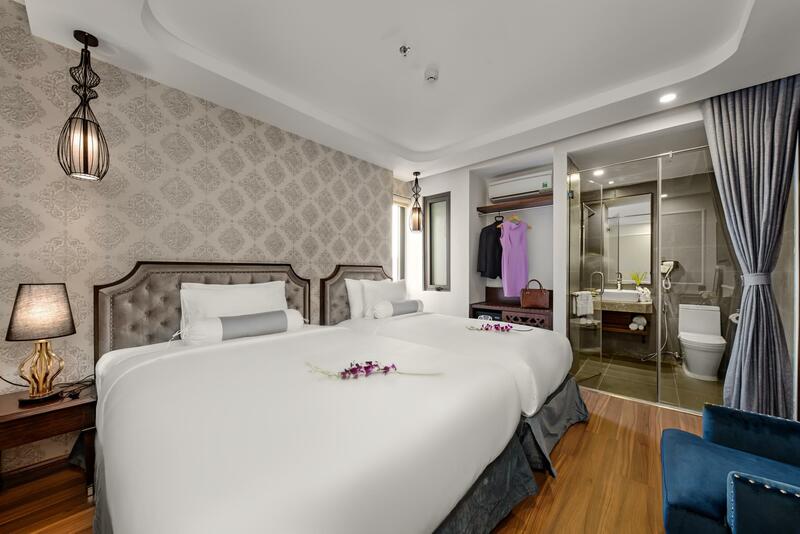 Have a question for Halina Hotel and Apartment? "Room clean and tidy with awesome beach view." "The rooms were very neat and clean." "The staff was extremely kind and supporting." 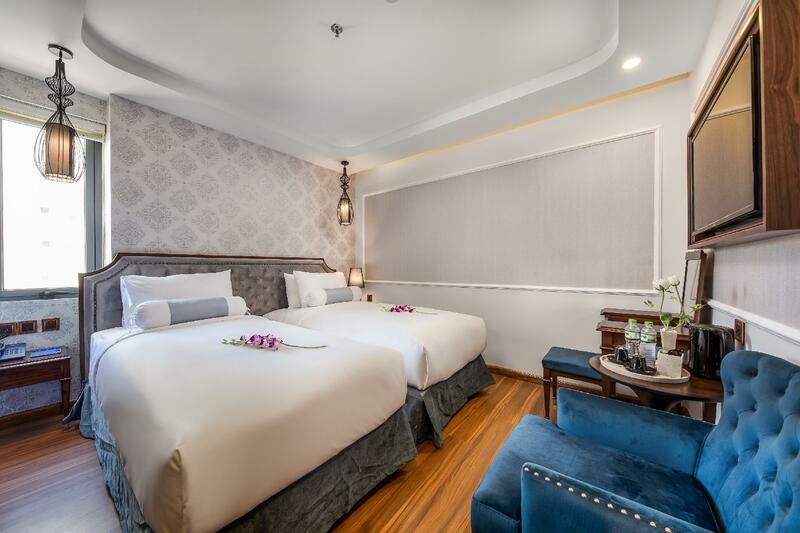 Whether you're a tourist or traveling on business, Halina Hotel and Apartment is a great choice for accommodation when visiting Da Nang. From here, guests can make the most of all that the lively city has to offer. With its convenient location, the property offers easy access to the city's must-see destinations. 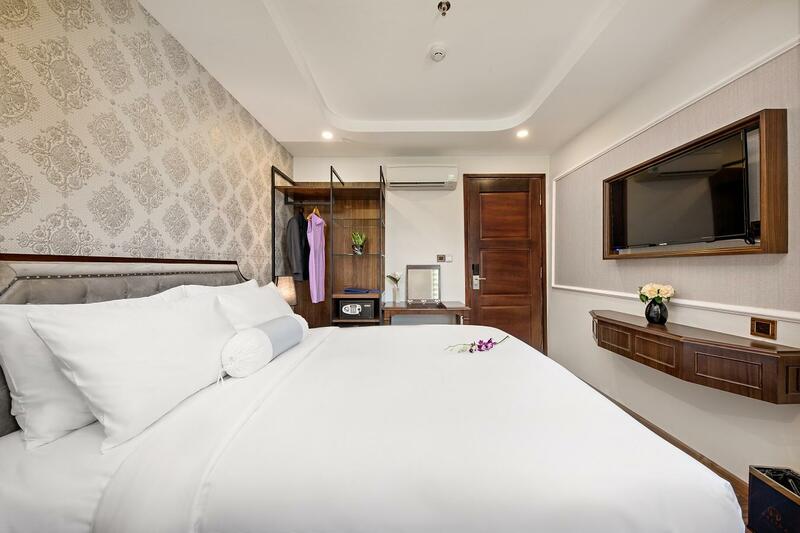 Halina Hotel and Apartment offers impeccable service and all the essential amenities to invigorate the weary traveler. 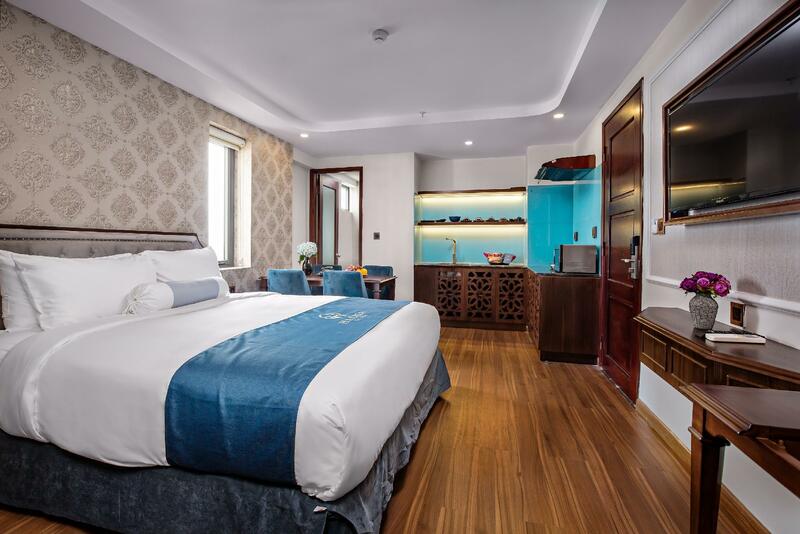 Top features of the property include free Wi-Fi in all rooms, 24-hour room service, 24-hour security, convenience store, daily housekeeping. 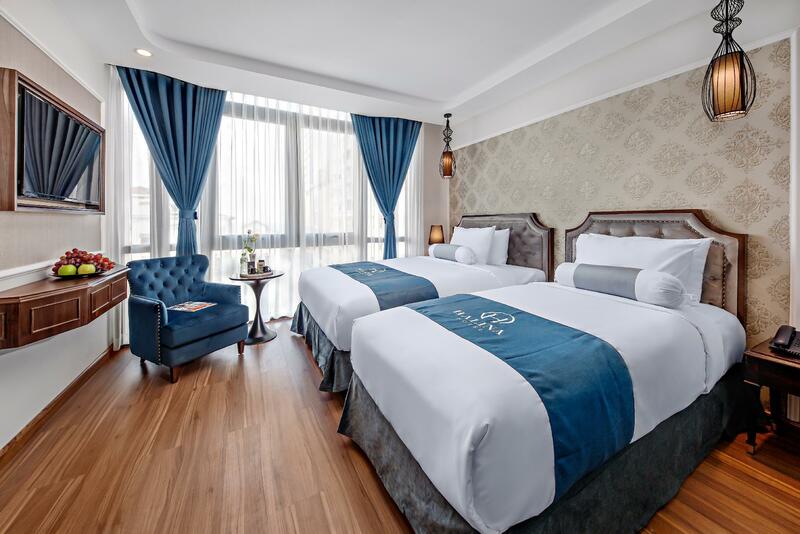 Halina Hotel and Apartment is home to 60 guestrooms. All are tastefully furnished, and many even provide such comforts as flat screen television, clothes rack, complimentary instant coffee, complimentary tea, fireplace. The property's recreational facilities, which include fitness center, sauna, outdoor pool, steamroom are designed for escape and relaxation. 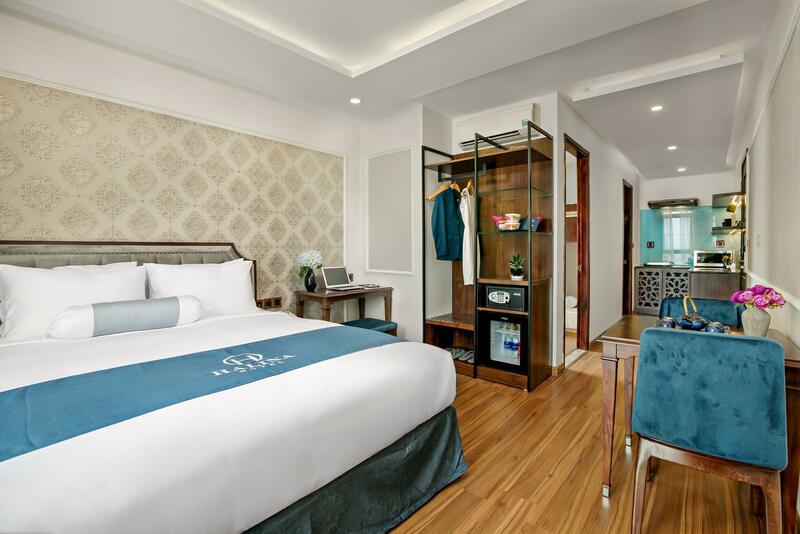 Superb facilities and an excellent location make Halina Hotel and Apartment the perfect base from which to enjoy your stay in Da Nang. "Halina hotel is at a very nice location, 5mins walk to the s..."
This was my favorite hotel on my entire trip in Vietnam. The room was luxurious and had a beautiful ocean view. The staff especially Daisy was extremely helpful and made me feel like family. The location is perfect. Beach is across the street and mini mart and restaurants next door. Thank you l!! What can I say. Lan, Hoang, Daisy, My My, and all of the rest were just the best. Great breakfast and great advice. A block from a wonderful large beach. Very clean and comfy rooms, a little on the small side but who cares. Would definitely recommend! 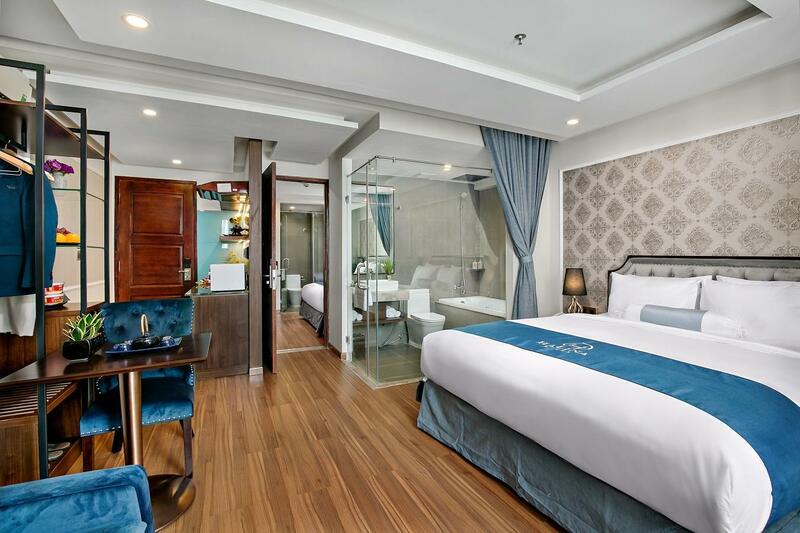 The most important point I would like to emphasise is the excellent service of Halina hotel. Every staff is friendly and helpful from heart. Our whole family would like to praise Daisy in particular for her heartwarming service during our stay. She always takes the initiative to offer any kind of help, literally of all kinds, from booking private cars, recommendations of restaurants, follow-up services, etc. The breakfast buffet is generally nice. We stayed for 5 nights and they have altered the choices of dishes and we are well-satisfied. Only 1-min walk journey to the well known beach. Our stay in this hotel is perfect and we surely recommend this to others. We will book again at our next visit. There are so many hotel options near My Khe Beach. It can be hard to choose. I am SO glad I chose the Halina. Rooms are clean and modern, staff is friendly and helpful, the breakfast buffet is outstanding, and the views from the rooftop pool are amazing! I liked it so much, I'm coming back in a month! The hotel was close to the beach. Handy for touring the Central Vietnam area. Hotel very clean and staff always there to assist, nothing is too much problem. I wouldn't hesitate in recommending the hotel, if Da bang is where you are staying. There is not much to do in the Immediate vicinity but I can't fault the hotel at all, it was lovely. Room was comfortable and clean, if a little small. Location was good, one road behind the beach. Rooftop pool and bar had great views. Service was excellent throughout the hotel. Staff were very helpful with information on tours and arranging motorbikes for rent. The receptionist MyMy was particularly helpful. Good breakfast, one of the best breakfast services we had in Vietnam. Good location, staff were kind and waited for our very early morning arrival. Huge room. Breakfast was ok, though some of the staff from the restaurant had a hard time understanding english. But in general, our stay was ok! Would recommend this hotel to family and friends! Good location just 1 minute walk to the beach. Room can see beach and the lady Buddha, feeling blessed lived in that room can see lady Buddha everyday. Staff are all very friendly and helpful, especially Cathy give us very good restaurant recommendations! Breakfast is good, tasty food and changing everyday. Will stay with the hotel next time visit DaNang again. +:All the staffs are so friendly and enthusiastic to help if you have any question or a problem. +: they do provide some local tour you can get for extra, or just simply arrange a day car for you to check tourist spots. We went on 2 tours one to Hue and the other to Ba Na Hill, it’s much easier than going by ourselves. The tour price is reasonable priced. +: we booked the King Sea View Room during the time we stayed. We both love the bed, it’s very big and comfortable. The Room is averaged sized. -: there is only one elevator in the hotel, sometime you need to wait so long to get it. -: swimming pool is tiny, especially the “gym”...which they shouldn’t call a gym lol. -: breakfast is actually quite good for me, but not as good as for my bf. He’s a vegetarian and there was not many options for him. -: there’s only a tiny glass separate the shower area and toilet, so it’s really hard to avoid to spilling water on the floor. the bathroom is not good, water always flow out as no door of the shower room. breakfast is tasty with many choice. Most important of all, the staff are execellant, polite, helpful and considerable, especially Mymy who gave me lot of tourist information, she is very nice. The staffs were very nice, friendly and helpful to help us clarify where can get a good deals of local souvenir, help us booking the grab car. The breakfast was very good, especially the Vietnam style snack, and they keep refill a different types of foods, really enjoyed it. The room is clean but a little bit darkness because of the yellow lighting, but overall was nice. They are so nice to help me upgrade the room because i have another friend that join me late, and we had requested to stay in same floor. Distance to airport very close about 15mins to 20mins. Room clean and tidy with awesome beach view.. Breakfast was served excellent and staff very friendly. Provide welcome drink and assist to allocate luggage to our room. Just one small recommendation is the Bath room roller blind should fix inside the toilet instead of outside. The location and facilities were first-rate, but it’s the people that set it apart. My-My, Daisy, and Stacy saw to it that my stay in Danang was memorable. They greeted me with a smile each morning and helped me with directions and recommendations for sites and meals. I will definitely be back.